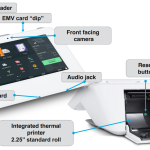 Clover is a full-featured POS solution offered by First Data. Take every card type out there, with low fees and sleek hardware. 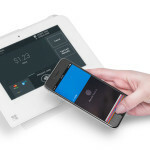 Many rural merchants, farmers’ markets, or other “mobile” merchants need a reliable, easy way to take payments without a dedicated internet/WiFi connection. That’s where using the cellular networks comes in. Many wireless terminals are stuck on the older, slower 3G networks – and as such, if you use one of those terminals you may experience connection issues, or simply not be able to process wirelessly. Obviously, that’s not workable. 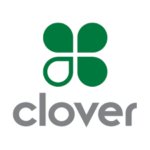 Click through to read about Clover features, pricing, implementation, and more. 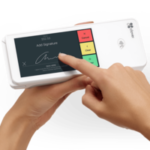 Clover POS offers numerous options for all business types, and allows you to take EMV and Chip+PIN transactions with ease. How do I import/edit my Inventory Items? Where do I get Clover Support? 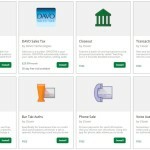 Clover POS is not only easy-to-use, but it’s easy to get assistance and help, too. 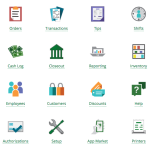 With an extensive knowledge base and “How-To” section, you’ll never be alone with Clover.